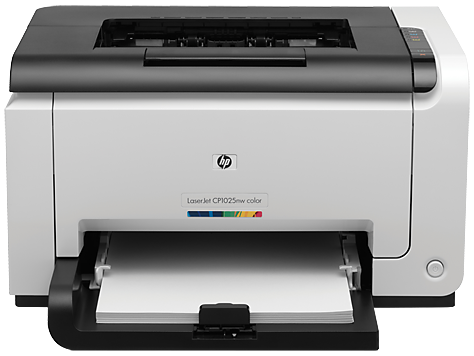 Add high-quality color to documents, using an affordable, wireless and Ethernet-connected HP LaserJet. HP's smallest color laser printer is also one of the planet's most energy efficient. Print from virtually anywhere with HP ePrint. Home office and small business customers who need a low-priced, compact color laser printer with wireless and Ethernet connectivity. Affordable color with a wireless connection. Print from anywhere in the office and share on a network, using built-in wireless and Ethernet. Save money, save space—this low-priced HP LaserJet is the world's smallest color laser printer. Print documents affordably. Get the same black cost per page as a black-and-white HP LaserJet printer. Set up quickly and print from a mobile device. Install in only a few minutes—there's no CD required with HP Smart Install. Make maintenance easy with Original HP cartridges and a printer designed for lasting performance. Create and print your own marketing materials. Print on a wide range of media—from 3 x 5 to 8.5 x 14 inches.